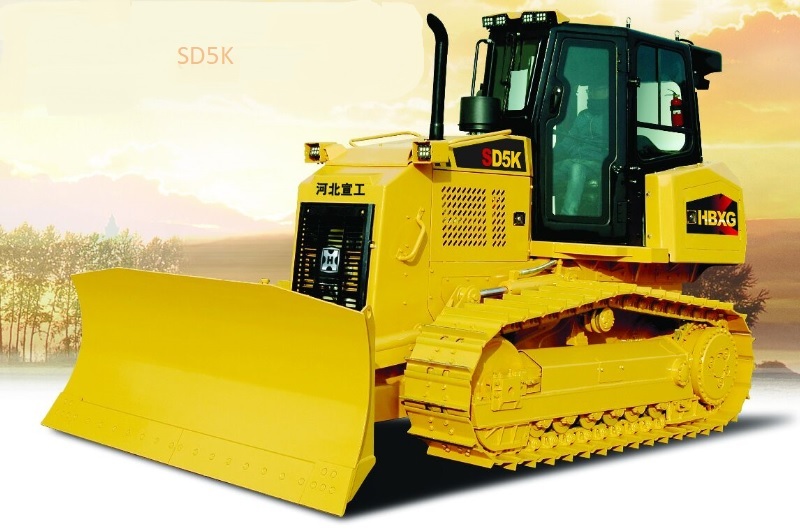 Hydrostatic Sd5k is a small bulldozer weighing approx. 13 tons. 130 hp and blade capacity of 3.1 cubic meter makes this machine perfect for heavy load working such as construction of stadiums, electric power projects, harbour construction, city and town earth(soil) removals etc. This model is equipped with electronic engine of full power matching pattern, with stepless speed change and pivot steering function, modular design and easy to repair and maintain. With less downtime and easy to operate controls, this bulldozer is value for money. Book your machine today. It is a perfect machine used in wonderful or overwhelming burden working, for example, harbor development, correspondence development, arena, electric power task, city and town earth moving, refill, displaying and leveling working.